A domestic flight carrying 16 passengers (flight number MH 3002) between Kota Kinabalu, in Malaysia, and Kudat, about 150km north west of Kota Kinabalu, crashed into a house while attempting to land on the afternoon of 10 Otcober. There were 15 Malaysians, and one Filipino national onboard the turboprop aircraft. The accident caused the death of two passengers, and five others were injured. The aircraft was a 1983 model DHC-6 Twin Otter twin propeller turbo prop manufactured originally by the Canadian company, de Havilland, which later incorporated into the Bombardier group of companies, which is based in Montreal. More recently, Bombardier sold the type certificates, or rights to manufacture the DHC-1 to DHC-7 models, to another Canadian company called Viking Air which is based in British Columbia. Now, the DHC-6 aircraft and its modern variants, the DHC-8 (“Dash 8”) which is manufactured by Bombardier, are used widely in regional airline and charter operations in Australia. MASwings is a wholly owned subsidiary of Malaysia Airlines System (MAS) the national airline of Malaysia, which describes itself as Malaysia’s first commuter airline. It started operations on 1 October 2007. It is unknown why the accident happened, but Shine’s experience with variants of the Twin Otter, including the “Dash 8”, implicates possible propeller system deficiencies. In Australia there are 3 known DHC-6 aircraft in service. Two are registered to Western Australian operators, and one is registered to a Queensland company. There are many more of the Dash 8 variety in service. While yesterday’s accident was the first fatal accident for MASwings, this was not the first time that this particular Twin Otter crashed. On 24 August 2011 the same aircraft, operating as MASwings flight 3516 from Miri to Lawas crashed 5 metres short of the river at the end of the runway in Lawas. Fortunately, all 18 people on board the aircraft survived. More recently, on 7 November 2012 another DHC-6 Twin Otter, operating as MASwings flight 3592 from Miri to Marudi, landed in a ditch. Upon touchdown, the aircraft veered left off the runway, tearing down the fence and ending up in a ditch. There were no fatalities. There are 84 more modern variants of this family of aircraft in airline and charter service in Australia, according to the Civil Aviation Safety Authority aircraft register – mostly “DHC-8” or “Dash 8s” as they are known. These aircraft are still produced by Bombardier. Recent accident experience indicates there may be comparisons drawn between this family of aircraft’s track record in airline service and the more recent Malaysian accident. While the Malaysian authorities will determine the cause of the accident in due course, de Havilland/Bombardier turboprop and others that use similar engine/propeller assembly configurations have been known to suffer from propeller system design defects. As recently as 6 December 2011, a Qantaslink Dash 8 (manufactured in 1983)on a scheduled flight from Cairns to Weipa suffered a propeller overspeed occurrence which was fortunately corrected by the pilot before it caused an accident. Due to design deficiencies in pilot controls of the propellers the pilot inadvertently caused the propellers to behave as if they were on the ground causing the propellers to dangerously increase their RPMs. This, if it had not been detected quickly, could have resulted in one or both engines failing during the flight’s descent. The Australian Transport Safety Bureau (ATSB) investigated and in a report released on 25 February 2013 identified potential power lever quadrant and propeller system design faults. These were not fully dealt with by the manufacturer until following the preliminary investigation in 2012, and another accident (this one fatal) which preceded it. As a result of these ongoing issues, Shine’s Aviation Law Department is taking action in relation to manufacturers of component parts in US and other courts on behalf of families. The accident which preceded the Qantaslink propeller overspeed occurrence was that of a Bombardier “Dash 8” aircraft operated by airlines PNG, registration number P2 - MCJ, which crashed 33 km south east of Madang, in Papua New Guinea two years ago yesterday (13 October 2011). Twenty eight passengers died during the impact and subsequent fuel-fed fire. There were 4 survivors. The Papua New Guinea Accident Investigation Commission (AIC) is continuing its investigations particularly in relation to the engine and propeller assemblies, maintenance documentation, and procedures and components of the power lever quadrant. In its preliminary report released 2 November 2011 the PNG AIC reported “at approximately 1715, the aircraft’s overspeed warning horn sounded. Very shortly afterwards, both propellers simultaneously oversped and exceeded their maximum permitted revolutions per minute (rpm) by in excess of 60%. Witnesses of the ground reported hearing a loud ‘bang’ as this occurred.” Australia’s ATSB, in response to the PNG AIC’s requests, initially provided some technical assistance and conducted an external investigation, assisting the AIC early in the investigation. Shine Lawyers Aviation Department Manager, Pat Nunan, was contacted by families of some of the deceased passengers concerning various issues and possible claims, including claims pursuant to the PNG Civil Aviation (Aircraft Operators’ Liability) Act of 1975. In conjunction with a specialist US partner, Floyd Wisner of Wisner Law Firm Inc of Illinios, Shine filed suit against manufacturers of components of the aircraft alleging they were to blame for the accident. As no final report has been issued by the PNG AIC, a trial in relation to the PNG accident is several years away. Shine Lawyers acts for Chris Bonga who lost his 27 year old wife, 3 year old son, and his mother in law in the PNG crash. Chris demands revised and improved standards of safety around the use of these planes in light of their track record, and that manufacturers be held accountable as well. Positioning of the power levers below the flight idle stop during flight is prohibited. Such positioning may lead to loss of airplane control, or may result in an engine overspeed condition and consequent loss of engine power. Recent accidents, including the one involving the MASwings Twin Otter, and the Embraer 120 Associated Airline engine failure after takeoff crash in Nigeria, may likely also be attributable at least in part to a similar configuration of potential design deficiencies in propeller assembly and control systems. Our investigations will monitor the outcomes of these crash inquiries to determine if passengers on those flights would have similar arguments against manufacturers as in the PNG accident. These cases all indicate that manufacturing and design of components can often be a contributing cause of plane accidents and lesser incidents all over the world. When these causes are implicated, Shine and its expert legal partners are experienced in pursuing compensation on behalf of bereaved families, even where this requires litigation in overseas jurisdictions, and on behalf of non-Australian clients. 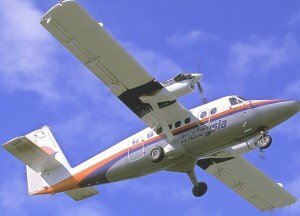 Update 23 October 2013: The Malaysian Department of Civil Aviation (DCA) has permitted the removal of the Twin Otter aircraft which crashed on a house near Kudat Airport. The aircraft will be taken to a hangar at Kota Kinabalu Airport for further examination of the wreckage. Investigations are continuing but reports are that the onsite investigations are now complete. The DCA expects to complete its accident investigation report within about 6 months, and has not yet released indications of the safety factors which were involved. Update 13 November 2013: Malaysia’s Acting Transport Minister Datuk Seri Hishammuddin Tun Hussein has reported that the accident report will be presented to him in about a month’s time. In a media conference yesterday he pointed to “weather, human and infrastructure” factors, as well as issues with Kudat Airport, to be among the factors which caused the MASWings crash. It is not known when the final report will be publicly released. Written by Shine Lawyers on October 13, 2013. Last modified: September 26, 2018.